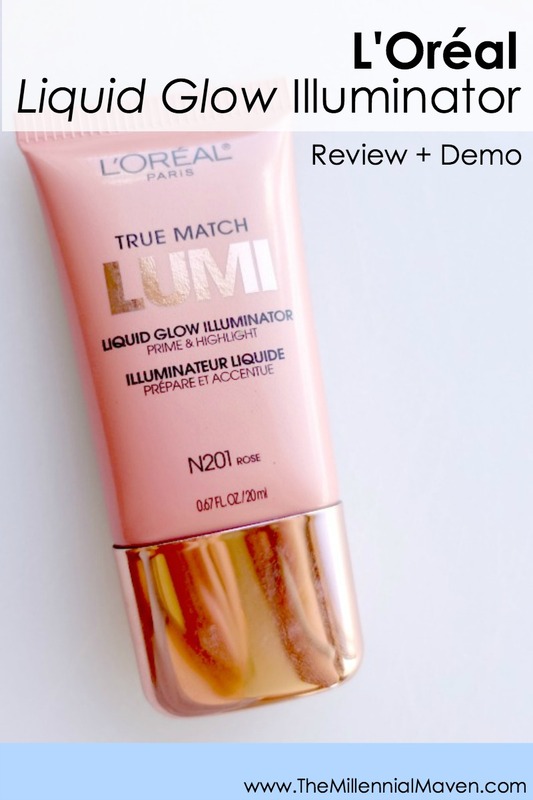 Today marks Part 2 of our L’Oréal True Match Lumi Highlighters reviewing adventure. L’Oréal Lumi Liquid Glow coming right up! 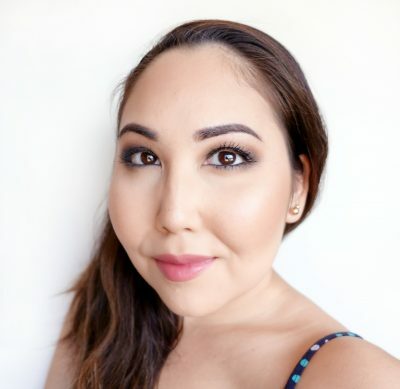 I tried out the L’Oréal True Match Lumi Powder Glow Illuminator yesterday. In keeping with the theme, today we’re going to see how the Lumi Liquid Glow stacks up against its counterpart. These two new highlighters from the drugstore are marketed as a pair, but really, you don’t need them both unless you just want to collect them. That’s totally me, in case you were wondering. 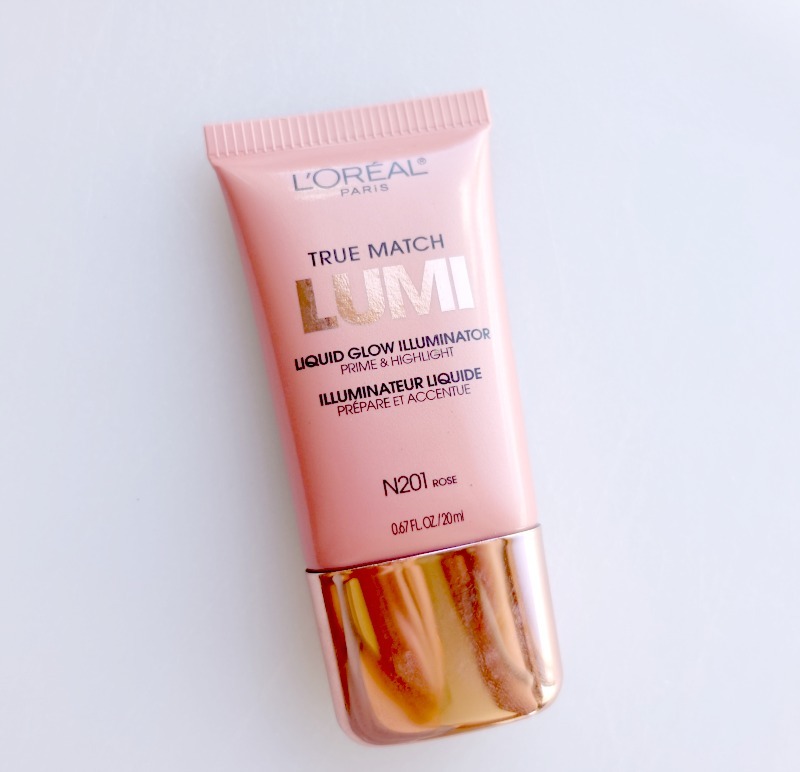 When the first swatches of the L’Oréal True Match Lumi Highlighters (both versions) began popping up in my YouTube feed, this one had my heart at first shimmer. I love anything rose gold. I’d even wear rose gold underwear if I could find them. I thought, what could be better than this?! The first review I eagerly clicked on was by Tati from GlamLifeGuru. Tati is one of my favorite YouTubers and I thoroughly trust her reviews, and she wasn’t too keen on the Rose shades. I was somewhat wary to purchase, but then I was like, “gotta do me, ya know?” And I pressed on with some apprehension into the journey of the pink unknown. We’ll just call it Lumi Liquid Glow from now on. I purchased my Lumi highlighters (both of them) at Bed Bath & Beyond, simply because it was the first store in my area to carry it. I paid $12.99 USD for each highlighter, which is definitely on the higher end in terms of drugstore prices. For that price, my expectations are admittedly pretty high. Do they live up to their price point? I guess we’ll see. *NOTE: The shade selection is discussed in the a sister post on the Lumi Powder Glow version. I just didn’t want to repeat myself. 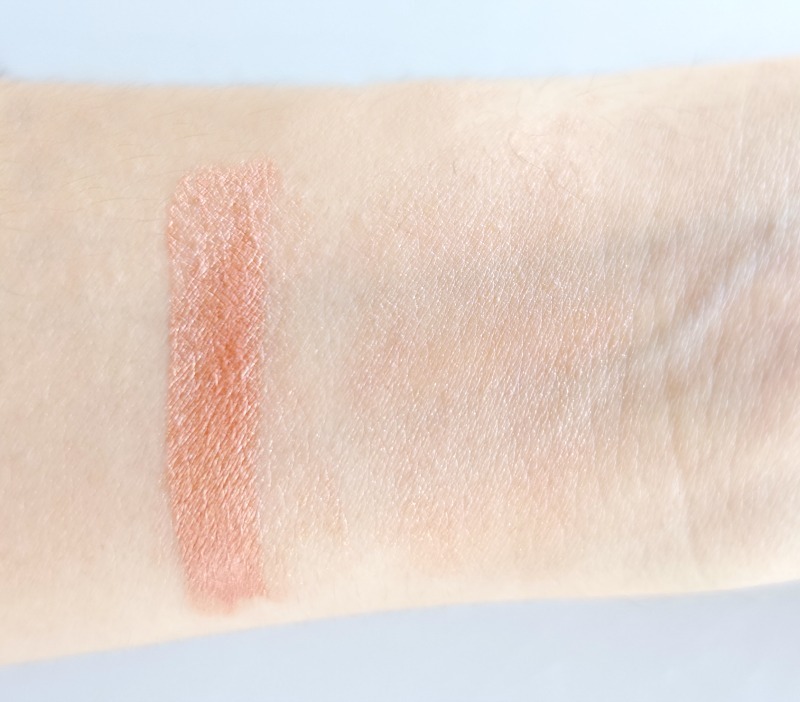 The swatches shown above show the product in different stages of blending. On the far left is a smear straight from the tube, and in the middle you can see what the product looks like half blended. On the far right, I have blended the product to the point where it is completely dry and won’t blend any more. The highlighters look absolutely stunning in swatches, but I was still slightly nervous about how they’ll look on my light/warm skin tone. The formula is very pigmented, so I worried that it may clash with my natural coloration. After trying it on, I found that the product is slightly problematic for lighter skin tones. But more on this later. I’ll let you decide what to make of that. 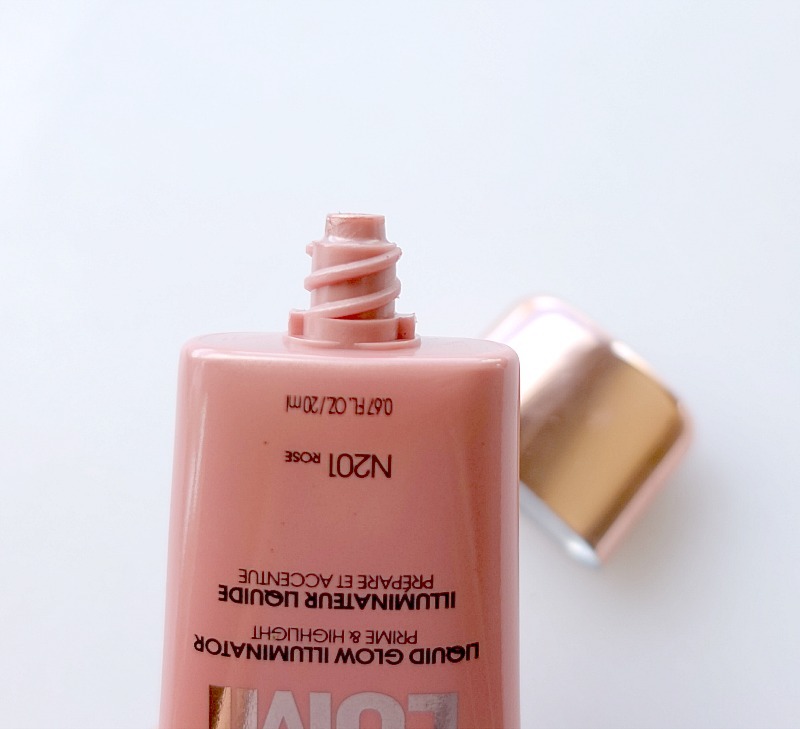 L’Oréal claims that the Liquid Glow Illuminator can be used as your typical highlighter on tops of your cheekbones, etc., but you can also mix it in with your foundation to give a nice allover luminosity. I decided to give both a try. I shivered in horror as a vision came to mind of my face looking like it had sprouted an Edward Cullen-esque rash, but I went for it anyway. I thoroughly enjoy mixing liquid luminizers in with my foundation. Since I have moderately oily skin, I generally stick to matte foundations to counteract the grease. The downside to those is that until some of my natural oils sort of mix in with the foundation, I look like a powdery corpse. That being said, I have never used anything remotely similar to this shade as a mixer before. To test out my “so-I-don’t-look-like-a-powdery-corpse” theory, I mixed a dab of the Lumi Liquid Glow with my driest foundation, Hourglass Immaculate Liquid Powder. The resulting shade was definitely more pink-toned than I usually use, but it wasn’t too bad. When I applied the concoction to my face, it was like the highlighter was not even there. I suppose this is sort of a good thing in the sense that my face was not noticeably pink, however it also didn’t seem any more luminous than it is when I neglect to add a luminizer to my foundation cocktail. I didn’t dispense much product in my first attempt, so I dished out a bit more of each (in the same ratio) and applied another layer to my face. It had more coverage, but overall I looked the same. That proved disappointing. Next came the really fun part: figuring out how I was going to apply this in my highlight zones without looking ill. I ended up dispensing a dab of product onto the back of my hand, blending it out slightly so it wasn’t in one big glob, and using a damp Beauty Blender sponge to gingerly dab it onto my cheekbones. It was not as bad as I had anticipated. I even worked up the courage to extend the fun onto my forehead and the bridge of my nose…a little bit. 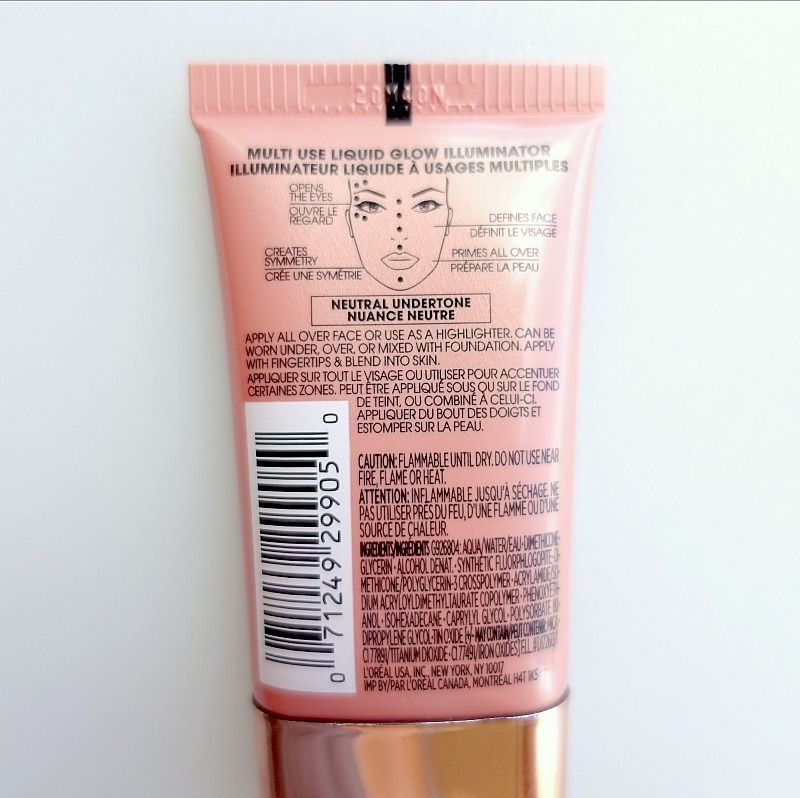 When applied super lightly, the pink base was not visible and all that was left behind was the golden shimmer, which worked for my nose and forehead. After getting through applying that first layer unscathed, I tried applying a bit more to achieve a stronger highlight. Not a good idea. After the second layer, the pinkness really started showing up, and lo’ and behold, I looked like a rash-ridden Edward Cullen. Nope, just nope. I am pleased to say that even after applying a thick layer of powder on my face topped with three layers of the Liquid Glow Illuminator, the area still looked smooth and not patchy. The product applies very nicely. However as stated above, the more I applied, the more pink the area became, and it started to look like I had blended my blush too far upward. To remedy the look, I ended up blending it downward onto the apple of my cheek where blush actually belongs, and building it up there. The Lumi Liquid Glow makes for a pretty blush when you want a light flush of pink with a bit of sparkle. The color built up quite well, and I thought it looked nice. The biggest thing for me when it comes to makeup is longevity. I can’t stand when you take the time to apply makeup, only for it to disappear in minutes. That just drives me up the walls. Since the Lumi Liquid glow didn’t show up very much when mixed in with my foundation, I’m not counting that in the longevity test. I wouldn’t know when to consider it “faded” anyway. However, I did monitor the time that the color lasted as a blush on my cheeks. Lumi Liquid Glow definitely isn’t the most long lasting product, but it wasn’t gone by the first mirror check of the day. It looked the same for about 5 hours, and then slowly faded from there. It faded gracefully, and didn’t get too patchy or weird looking. For me 5 hours is acceptable for certain circumstances, but what we deem acceptable varies for everybody. Overall, the texture of the Lumi Liquid Glow is quite smooth and it is very pigmented. It’s not a bad product in and of itself. Though, I think the market for it is slim. It’s not your typical “wear it everywhere” kind of highlighter. For me and my lazy makeup routine, I like products that I know perform well without too much coaxing. This just isn’t it. This might be a good product for say, a Valentines Day look where you want to look extra rosy. However, it is not something I would wear everyday, and especially not all over my face. I’d prefer not looking like I forgot my sunscreen at home. I may use it up. I don’t know. But I won’t be repurchasing. It’s just too impractical for me. FTC- Not sponsored. I purchase all products myself. All opinions are my own. 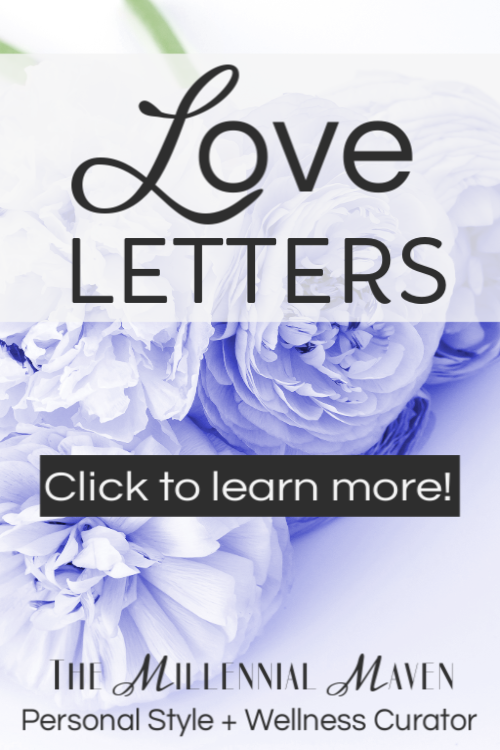 Some links may be affiliated. I love this highlighter and I was pleasantly surprised of how “highlighty” it looks on my face because I thought it might look too dark on my light to medium skin, but it’s perfect!